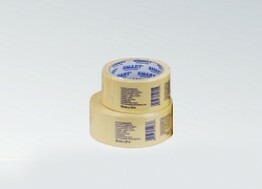 Double-sided adhesive tape with a white cloth and synthetic adhesive yellow protective veneer. 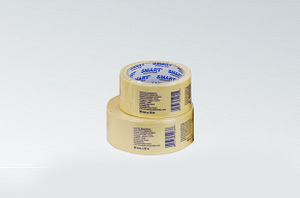 Cloth tape is most often used for gluing carpet. However, due to its characteristics is ideal wherever there is a rough and flexible substrate, where the irregular shape makes it difficult to mount a different way. Aggressive bonding method allows to combine surfaces permanently.